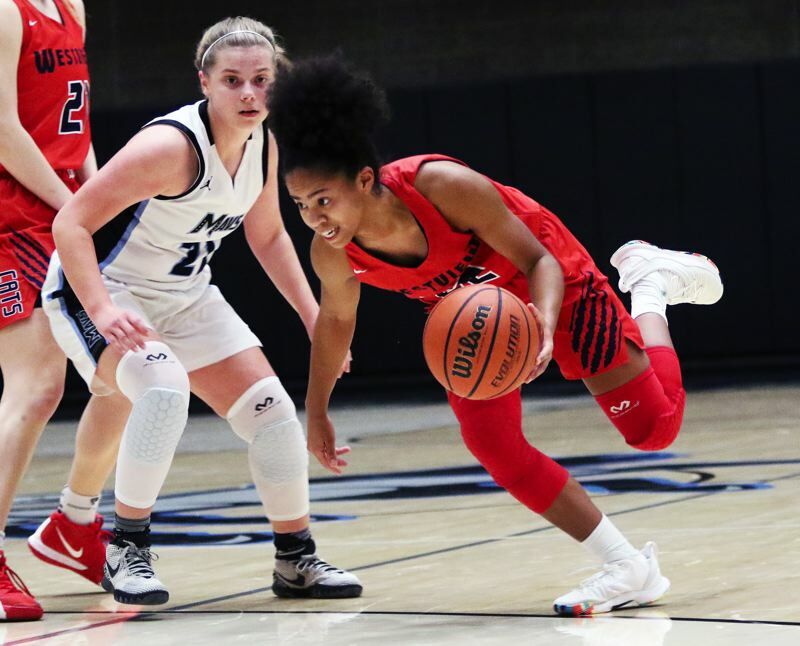 BEAVERTON — The Mountainside High School girls basketball team really wanted to pick up its first Metro League victory. Both teams were ready to fight for it. The result was a nail-biting, back-and-forth battle that wasn't decided until the final seconds. And, when those final seconds ticked off the clock, the Mavericks were left celebrating. 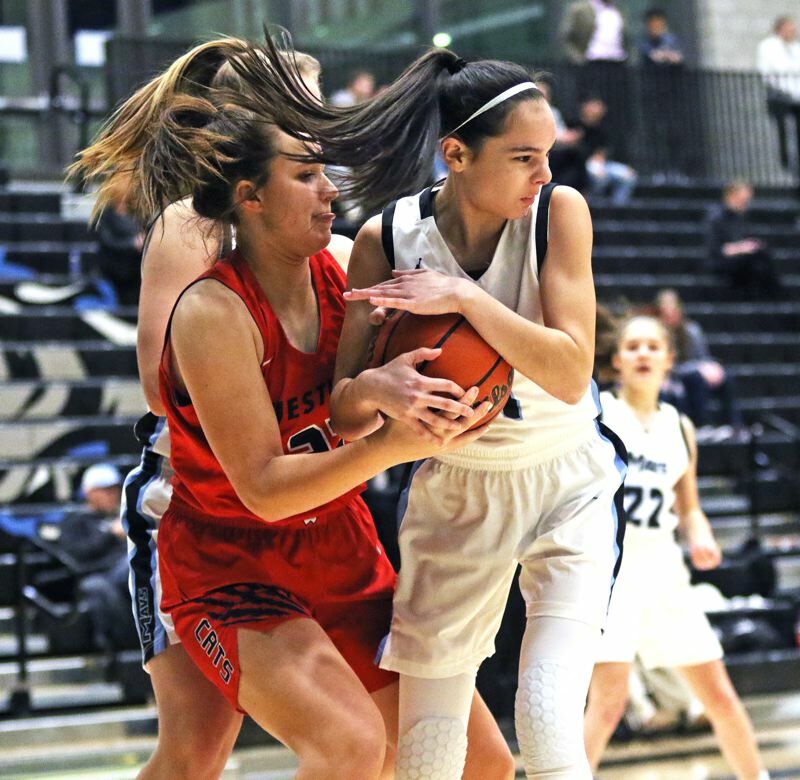 Mountainside picked up its first Metro League win of the season — and the school's first-ever girls basketball league victory, by edging the Wildcats 62-61 in a wild league contest played Tuesday at Mountainside High School. 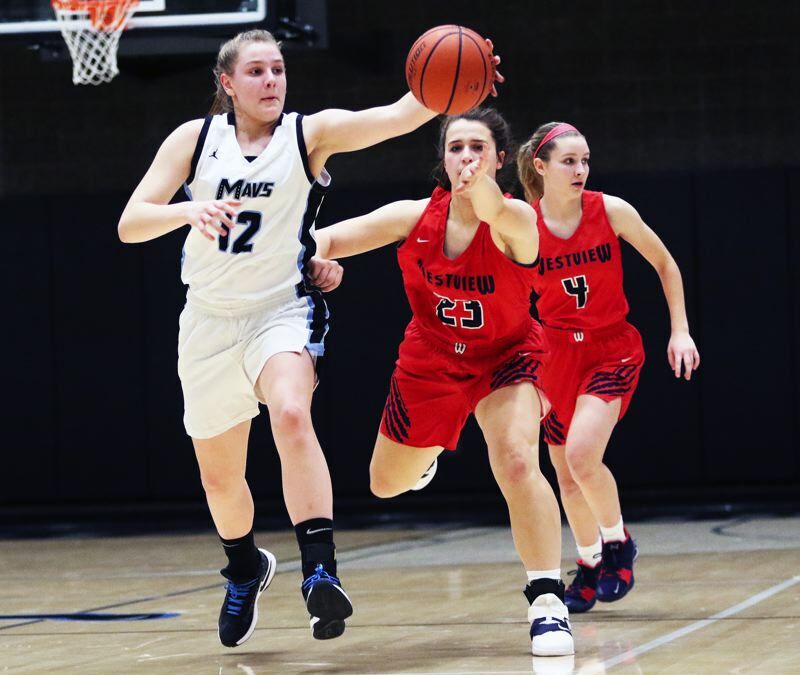 "This is really big," said Mountainside freshman guard Halle Hageman, who scored a team-high 20 points in addition to sinking some key free throws down the stretch. "It's a huge deal. It's our first year, and it meant a lot." "This is amazing," said Mountainside freshman post Lindsey Wilson, who scored 17 points in the victory. "It all came from my teammates. They're great passers, great shooters, it's all through them." With the win, Mountainside improved to 1-2 in Metro League play (10-5 overall), putting the Mavericks in a tie with Sunset for fourth place in the league standings. "It felt great, knowing that we could pull this out as a team," Wilson said. "My teammates did a great job passing the ball to me. It was a team effort." "This was just amazing," Hageman said. "It was a lot of fun." Westview moved to 902 in Metro League games (6-8 overall), putting the Wildcats in a tie with Aloha for sixth place in the league standings. "A lot happened," said Westview senior Nicole Flennaugh, who led all scorers with 22 points. "It was a game with a lot of ups and downs. They're a really young team, with a lot of potential." The Mavericks showed that potential early on in Tuesday's game. 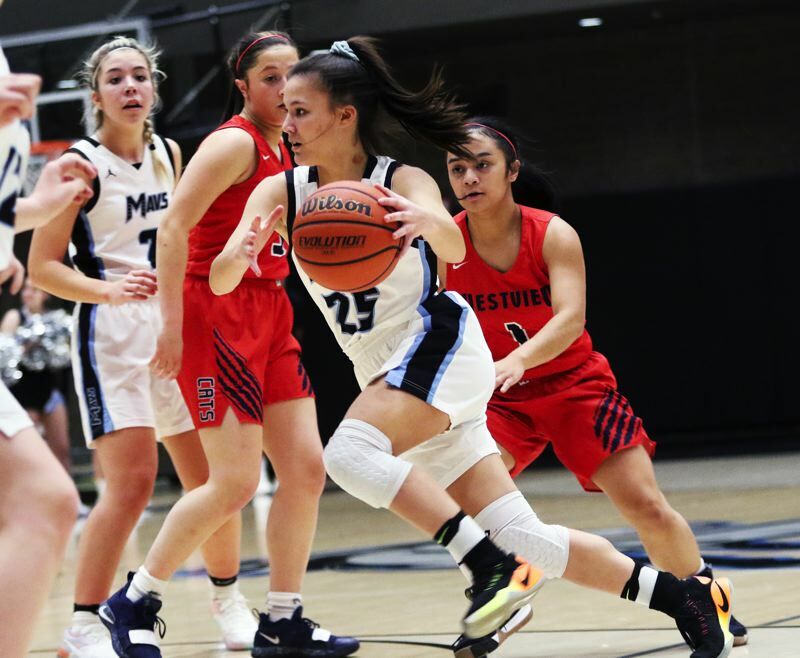 With Wilson scoring eight points, and with Hageman adding six, Mountainside jumped out to a 14-9 lead with 1 minute and 23 seconds left to play in the first quarter. But Westview, getting a pair of free throws from junior Abbi Gross and a late 3-point basket by Flennaugh, trimmed the Maverick lead to 15-14 at the end of the opening period. Mountainside then opened the second quarter with an 8-0 run, which included back-to-back 3-pointers by Hageman and freshman Taylor Smith, and a pair of free throws by Hageman, giving the Mavs a 23-14 advantage with 5:50 left in the period. 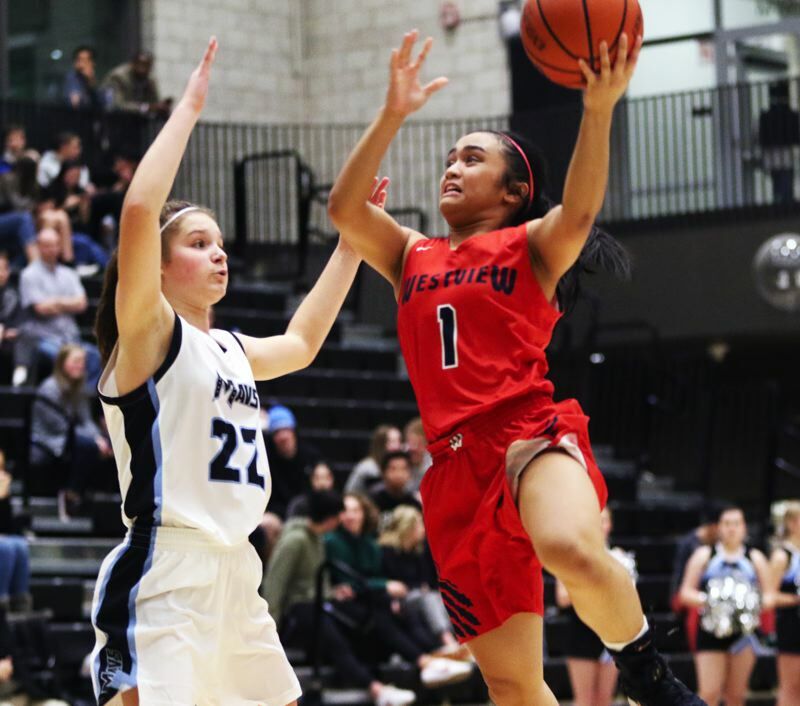 But Westview, with senior Shanice Uwase scoring seven points in a game span of 1:34, was able to cut the lead to 31-27 at halftime. The Wildcats then caught fire in the third quarter. 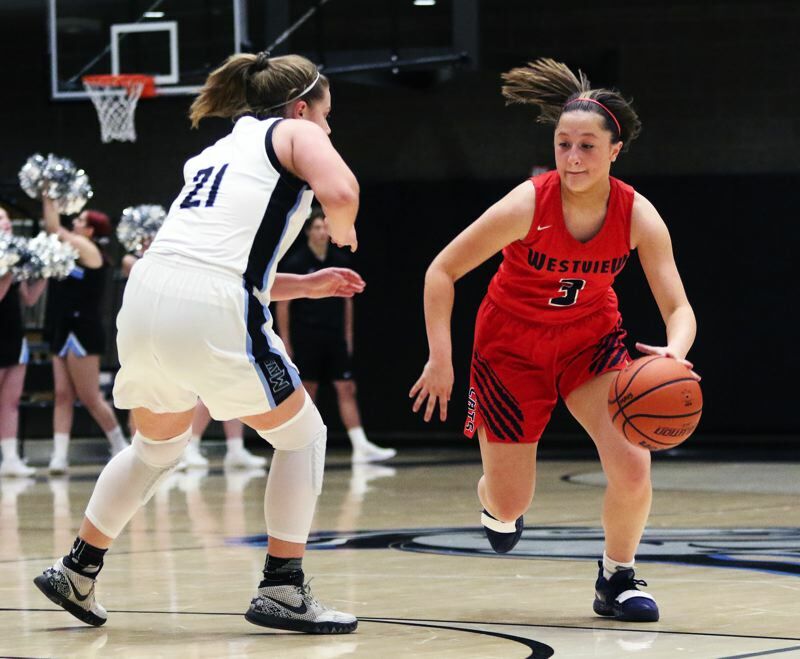 Westview sophomore Josie Napoli sank a pair of 3-pointers and scored eight points in the period. 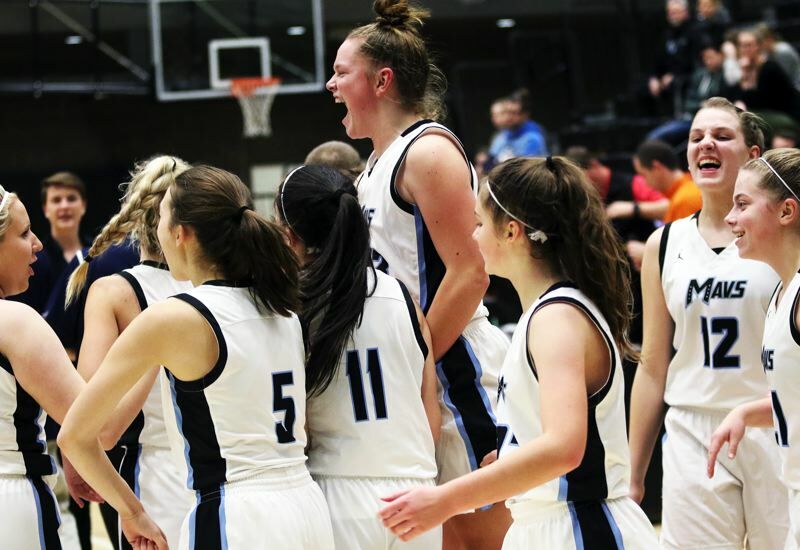 Flennaugh added five points, sophomore Afton Keeney scored four and Uwase sank a 3-pointer, as the Wildcats rallied to take a 47-41 lead into the fourth quarter. "We knew we had to come out strong in the third quarter, and win the quarter," Flennaugh said. "We knew we had to come out strong in the second half and get the lead." Mountainside came battling back in the final stanza. The Mavericks tied the game, at 51-51, when Smith connected on a 3-pointer with 4:07 remaining in the contest. Westview regained the lead, at 53-51, on a pair of free throws by Flennaugh with 3:40 left to play. But Mountainside answered with a 3-pointer by junior Hailey Lines to take a 54-53 advantage with 2:54 remaining. The Mavericks' lead was at 57-54 following another 3-pointer by Smith. Mountainside would keep the lead the rest of the way — but it wasn't easy. The Mavs opened a 61-56 lead after Hageman went 2 for 2 from the free throw line (giving her four straight free throws in a span of 22 seconds), with 1:14 left to play. 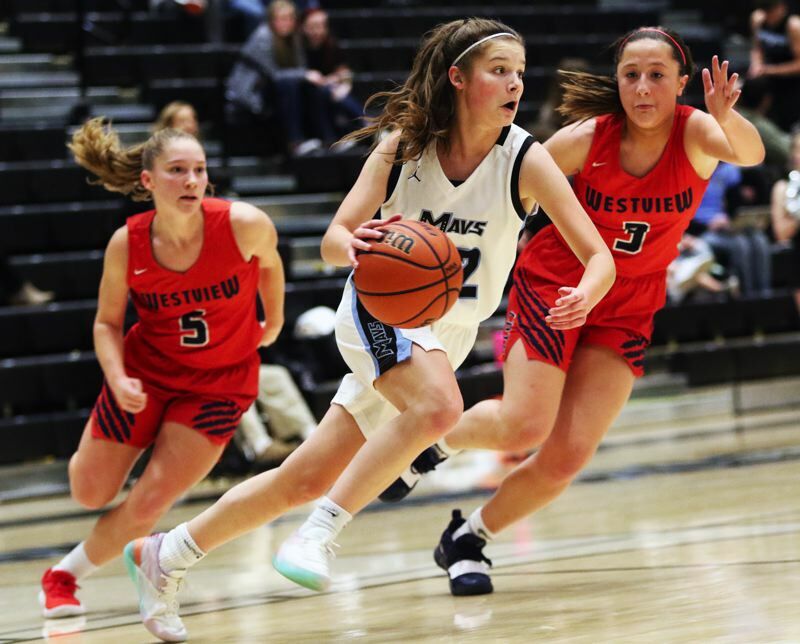 Westview came right back with a follow-up basket by junior Grace Miller and then, after another free throw by Hageman, Flennaugh converted a 3-point play, trimming the Mountainside lead to 62-61 with 29.8 seconds remaining. The Wildcats, still down by one, got the ball back on a Maverick missed field-goal attempt with 14 seconds to play, and then called time out with 10.8 seconds remaining. Westview went for a game-winning last shot, coming with two seconds remaining, but it was off the mark. The rebound resulted in a jump ball with 0.8 seconds left to play, with the possession arrow pointing Mountainside's way. 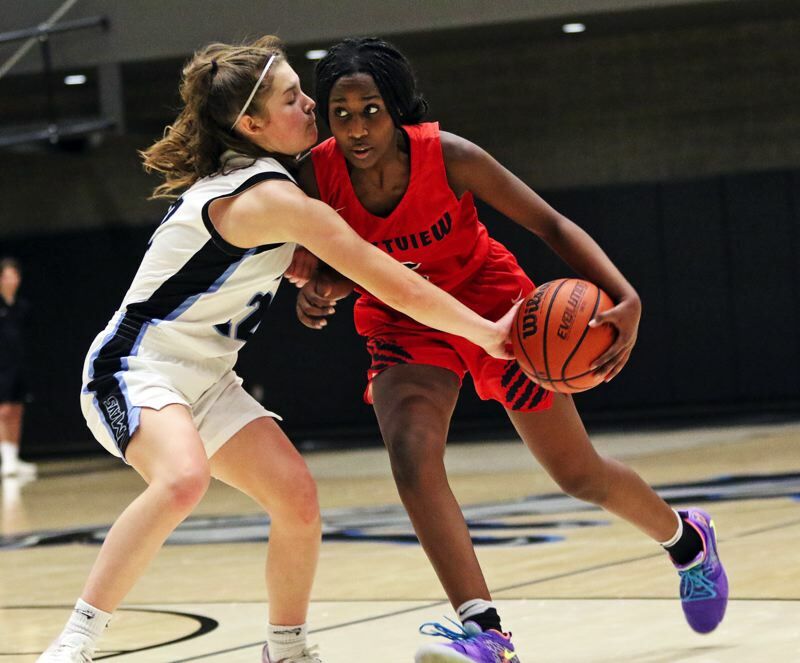 The Mavs inbounded the ball, and then celebrated their first-ever Metro League win. "It was intense," Wilson said. "For us, in our first varsity season, this win tonight meant a lot. The key was the trust we all have in each other." "We worked hard," Hageman said. "We made some great passes and did a great job making the shots. I'm so proud of everyone." Five of Hageman's 20 points came from the free throw line in the final 1:36 of the contest. Wilson had five rebounds, two steals and two assists to go with her 17 points. Smith scored 12 points, coming on four 3-pointers. Freshman Carly Stone added five points for the Mavericks. Mountainside, as a team, made 24 of 45 shots from the field, with seven 3-pointers, and seven of 10 free throw attempts. "I think we just keep improving from here," Hageman said. "This is the start for us." Flennaugh had eight rebounds to go with her 22 points. Uwase added 16 points for the Wildcats. Napoli scored nine and Gross had six. Westview, as a team, made 22 of 48 shots from the field, with five 3-pointers, and 12 of 17 free-throw attempts. "We need to take care of the ball, be strong on defense, and be mentally strong at the end, and finish strong," Flennaugh said. Both teams will be back in action on Friday. Westview will host Sunset and Mountainside will travel to Southridge for Metro League games starting at 7:15 p.m.